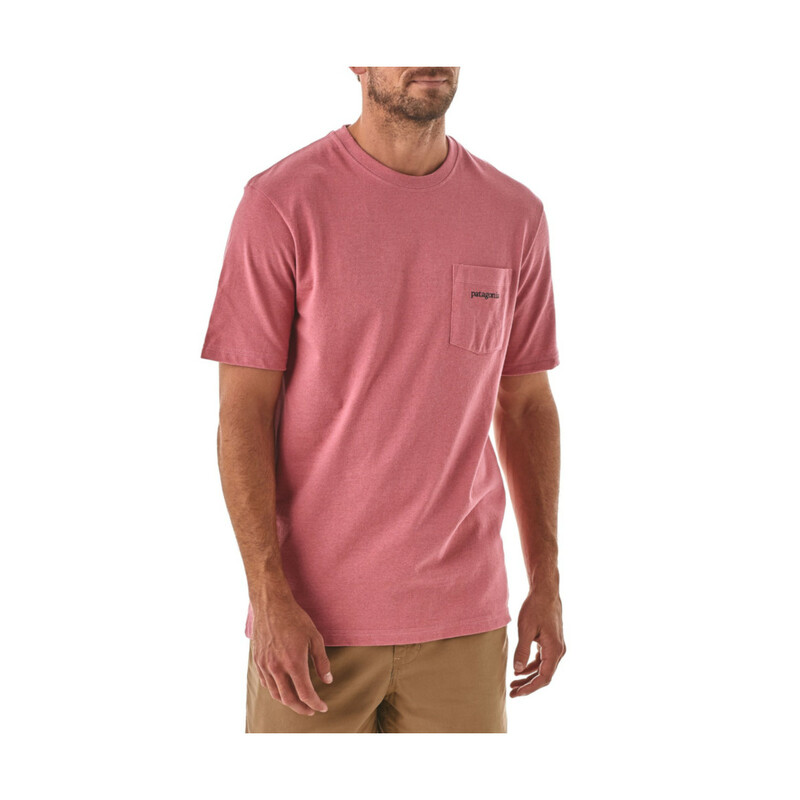 The Patagonia Line Logo Ridge Pocket Responsibili-Tee is a fully recycled cotton-polyester t-shirt with a small Patagonia logo on the breast pocket and an original Patagonia graphic on the back. 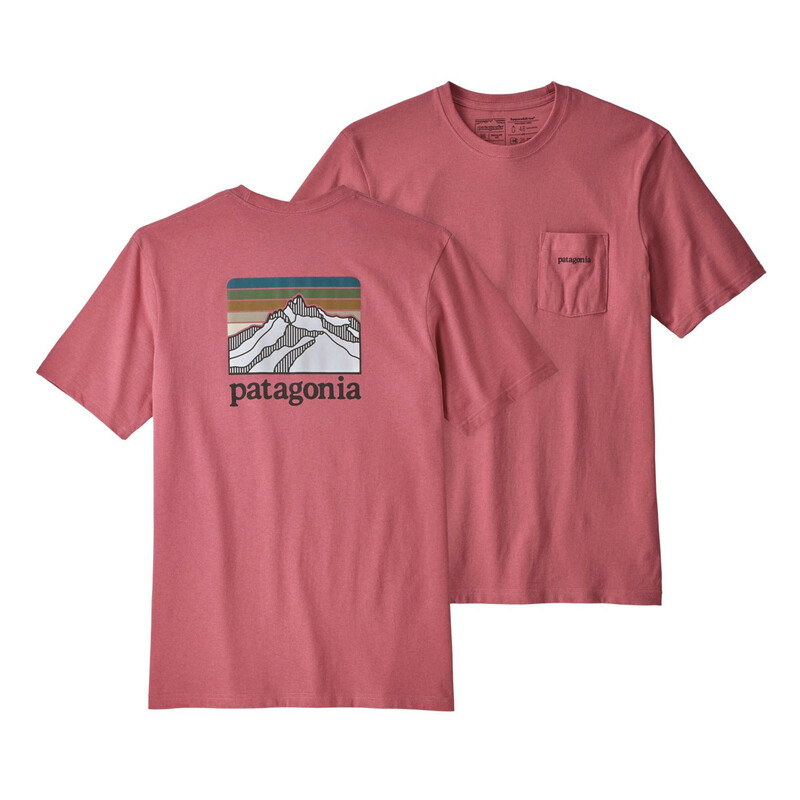 Patagonia's 'Responsibili-Tee' t-shirts are made from 50% recycled cotton factory scraps and 50% post-consumer recycled polyester (old plastic bottles) to minimise impact on the environment. 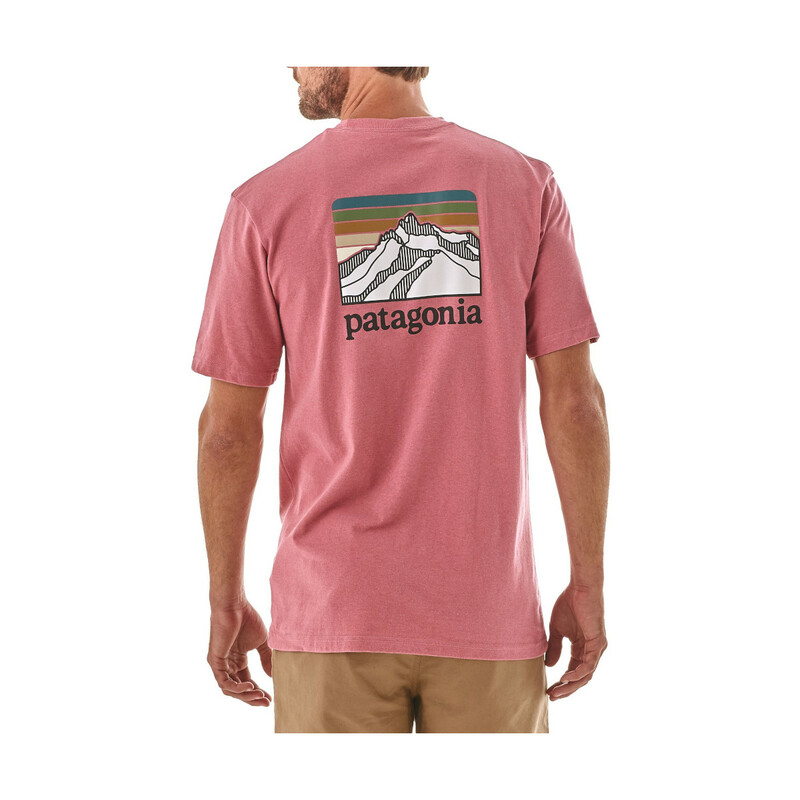 The artwork is screen-printed using inks that are PVC- and phthalate-free, the sewing is Fair Trade Certified™ . The whole t-shirt is bluesign® approved.